After Clinton’s drone suggestion, the State Department considered offering a reward to anyone whose help secured the Australian journalist’s capture and extradition to the U.S. Unnamed sources reported a $10 million price was discussed at the meeting. Sources familiar with the meeting claim they were reminded of Clinton’s penchant for discussing droning enemies following the release of the FBI’s report on the Clinton email investigation, according to True Pundit. The FBI’s notes on Clinton’s interview during the investigation referred to Clinton having “many discussions” about “nominating” droning individuals. “Clinton could not recall a specific process for nominating a target for a drone strike and recalled much debate pertaining to the concurrence process. Clinton knew there was a role for DOD, State and the CIA but could not provide specifics as to what it was. Due to a disagreement between these agencies, Clinton recalled having many discussions related to nominating an individual for a drone strike,” the report reads. Assange was set to make a big announcement at the Ecuadorian embassy in London on Tuesday where he has been trapped for five years, but cancelled in light of security concerns. The teased leak, dubbed an “October Surprise” is thought to be damaging for Clinton before the presidential elections in November. 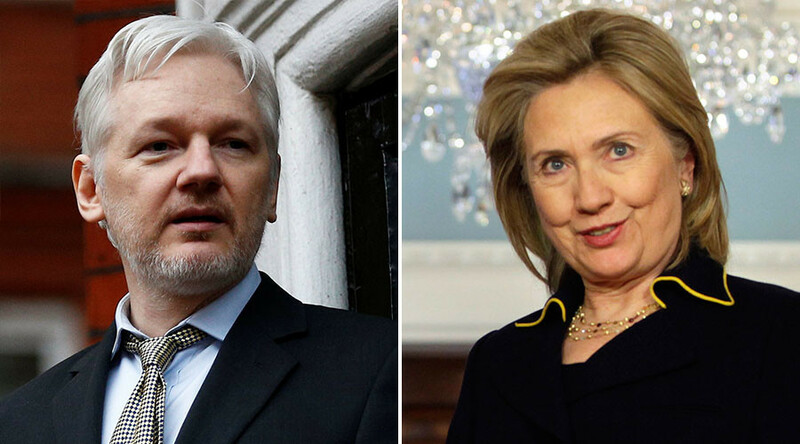 The announcement will now be made at Wikileaks’ 10-year anniversary celebration in Berlin on Tuesday. Assange will address the event via video leak.